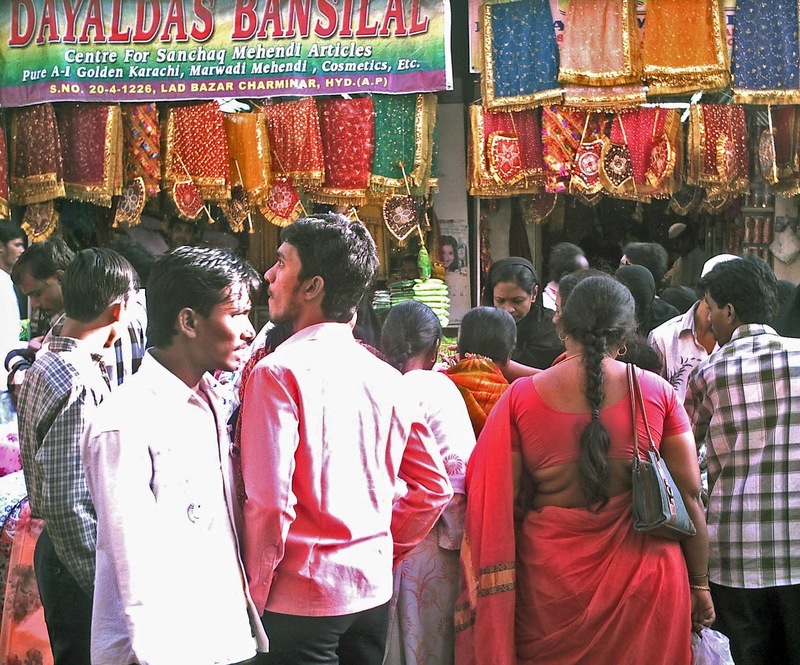 Indian market places can be crowded. One has to maneuver one's way through the crowded markets which are usually near busy streets. People bargain and the seller usually gives low prices to those whom he feels cannot afford his ware. This is probably why these markets are more popular than supermarkets where prices are fixed. Another advantage is the proximity of these markets to residential areas. Such markets are dime a dozen in all towns and cities in India. These pictures of some small markets in Hyderabad, Mumbai and Pune. The first two photographs are from a crowded market in old Hyderabad city. There is complete chaos here. This part of the market has clothes on sale. These two pics were shot from my old camera, a very basic one, and that's why you see the colours are not that good. But the picture conveys the life, the activity and confusion of a busy market very well. A closer look at the fancy sarees and lehengas. Bright colours and sequins are popular with the masses. People jostle for space to get closer to the shops. People around each other at the crowded marketplace. Vegetable and fruit sellers usually sit on the periphery of such markets. 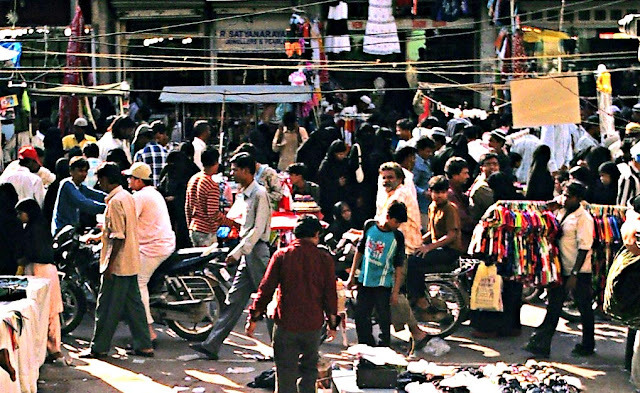 The image below shows a small street market in Mumbai. The shops usually sell the goods and grains, and hand-carts or pavement vendors sell fresh vegetables and fruits. These markets are fairly disorganised. It's difficult to walk on the pavement. This picture was shot from the windscreen of a car. 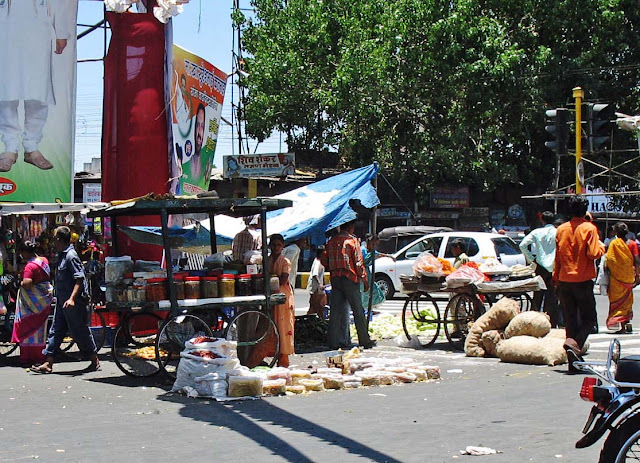 The photograph below shows a part of a market in Pune. As one can see in the picture all kinds of goods are available in such markets, from chutneys and pickles, flowers and vegetables to cereals and grains. This picture was taken at the very edge of the market where it was not crowded.